Wow! This is so helpful. This article really helped me realize that bullying is happening in the workplace and that it is a problem in today’s society. I also think that the campaign shows a good strategy of using opinion leaders to get other people on board and to listen. This campaign also shows the need to know your talking points and how effective one person can be. 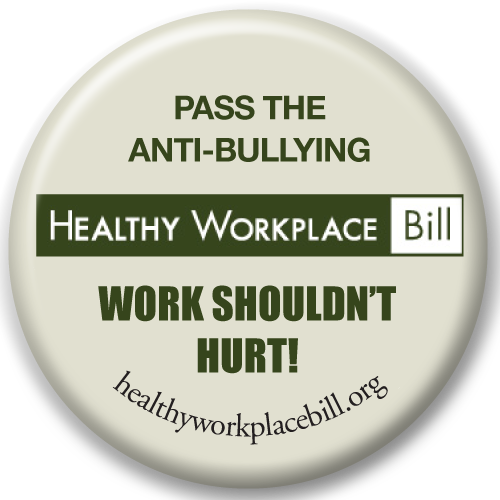 I think that the Healthy Workplace Campaign will continue to be successful as long as they know there talking points and target audience. Bullying is definitely happening in the professional world and I’m glad this post brought the issue to your attention! You bring up a good point about how important talking points are when dealing with an campaign like this. The opinion leaders are driving the campaign with the statements they make so what they say to their audience is crucial.